We’ve all seen them and grown up with them. Medals have been around for thousands of years. They are given to heroes and winners, attendees and champions. Medals, unlike trophies, gift cards, ­­­­or even certificates, are typically retained for life. Whether it’s as momentous as a gold medal at the Olympics or the Nobel Medal for Peace or something a bit more down to earth like a Little League championship or a business conference speaker, medals are a great way to acknowledge someone’s efforts and contributions. At GS-JJ Custom Medals, we bear this long tradition with pride. Every medal we create represents someone’s achievement or participation in something important. When someone is awarded a medal, it’s more than just a piece of metal on a lanyard. It’s a statement of their personal success and efforts. The pride felt by a grade-schooler who gets a medal for a spelling bee is no less intense and real than a medal given to an athlete at the Paralympics. The biggest challenges that organizations looking to use medals and other promotional gifts are quality, price, and turnaround. ● Quality - There is plenty of ‘fly by night’ firms that want to make a few bucks, but never intend to deliver quality products. Poor quality metals, shoddy designs, and poor craftsmanship all lead to an expensive and embarrassing mistake. At GS-JJ Custom Medals, we’re able to prevent this by a) being a North American company with offices in Los Angeles and Vancouver, BC, and b) working with the largest, most respected manufacturer of promotional items in China. ● Timeliness - Every promotional item we sell needs to be where it’s wanted and needed by a certain time. Our competitors often miss the mark and leave an organization handing out “IOU’s” to their medal recipients. Nothing is more of a let-down that to work hard to win an award and to discover that it will arrive weeks after the awards event. ● Price - Being cheap is pointless if the product is poor quality or late. At GS-JJ, we don’t promise to have the lowest price. We promise to offer the best value. Everything we sell is priced to be affordable and top quality. Medals, whether they are small gifts to children who acted in a play or given to the top salesperson in the company or given to someone who cured a life-threatening disease, are important symbols of someone’s achievement. For that reason, we want you to count on GS-JJ for the best promotional items available. Medals, given as gifts as symbols of someone’s contribution or participation, have been given out for thousands of years. The first instance of a medal being awarded was written by the Roman historian Josephus. In the Fourth Century BCE, the High Priest Jonathan led the Hebrews to assist Alexander the Great. Josephus tells us that Alexander "...sent to Jonathan... honorary awards, as a golden button, which it is custom to give the king's kinsmen." Roman emperors and military leadership used medals for many different purposes, including expressing gratitude for military successes and as political gifts. They were often made from gold or silver and were die-struck, just like coins. In fact, then, as now, many medals look like large coins. Many other items that served the same functions as medals. The bracteate, a gold medal that hung from a chain, were worn in Northern Europe. In England, the Liudhard medalet was produced. It bore the image of Saint Letard and was given to converts to Christianity. As the Middle Ages wore on, sovereign, royalty, and the aristocracy often commissioned medals to give to political allies. Many times the medals were made in precious metals and even encrusted jewels. Medals were used to commemorate military victories, weddings, the conquest of new territories, or just because some member of royalty felt like. Today, medals are most often associated with the Olympics and sporting events. A medal on a ribbon hanging around the neck of an athlete on a podium is a near-universal symbol of conquest on the sports field. Militaries around the world, including the US, give medals for achievements, both large and small. In this country, medals can range from the Congressional Medal of Honor to the National Defense Service Medal, which everyone receives after completing boot camp in the armed forces during times of conflict. The present round of NSDM has been being handed out since 9/11. In some militaries, the wearing of associated ribbons replaces the wearing of the actual medals themselves. Medals for youth sports achievements and academic achievements are very popular. Because they are generally less expensive and less bulky than trophies they are often the preferred reward. When you’re handing out medals, you’re carrying on a long history that dates back to Roman times. The placement of amedal on someone’s neck has been done by kings and emperors, schoolteachers and presidents, coaches and aristocracy for over 2500 years. Every race winner wants to be acknowledged. A trophy is fine and you can hold it over your head, but a medal is something that they can wear to events afterward. Of course, there are always those race winners that will play it cool, but if you give a child a medal for winning a race and take them to dinner, they will wear that medal with pride. Everyone loves telling people about their victories. Nothing is more a confidence booster for a child than having people ask about the medal that they’re wearing. From the Tour de France to the Indy 500 to the three-legged race at the church picnic, medals are a great way help people share their accomplishment with the world. Medals become something that they hang on a wall and talk about for years to come. Every race should have a medal for it, something that says that that person won. It’s a badge of honor, even if the race is a silly game for charity. Spelling bees to the Nobel Peace Prize, medals of honor to national merit scholarships, medals are a great way to commemorate academic, personal, moral, or social achievements. We often think of medals as being exclusively for military generals and Olympic winners, but in reality, medals have been given out for intellectual and moral achievements for millennia. Of course, the most high profile example is the Nobel Prizes for everything from chemistry to literature to peace activism. The image of Alfred Nobel on a medal is the symbol of these great achievements. But those are just the most high-profile medals. At spelling bees across the world, young people are awarded medals for their performance. Horse trainers and writers, political leaders and scientists, salespeople and hospitality staff are all given medals each year. Within many companies, medals are given out as something that can be hung on a cubicle or an office wall. While a certificate often accompanies medals, a medal, whether it’s in a shadow box or just hanging from a nail, invites questions. The entire purpose of medals, certificates, trophies, etc. is to celebrate a person's achievement long after they’ve succeeded. Medals are an economical, compact, and dramatic way to do just that. There are lots of generic medals. “First Prize”, “First Place”, and “Winner” can all be had on a medal. To really have an impact and impress the recipients, you need a custom medal. That might sound expensive, but in truth, the advent of computers and the internet have made it much moreeconomical. 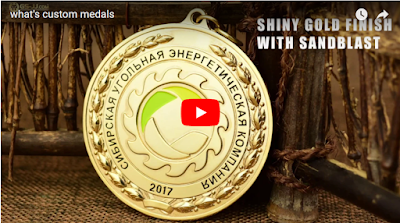 While we can speak for every company, at GS-JJ Custom Medals, we work with clients all over North America to help them design the medal that they want. This is done through phone conversations, emails, online conference calls, and more. Our in-house design team can take an idea and turn it into a sketch. Once the client is happy with that design, it’s sent to the factory where computers turn it into a mold. Medals are then cast from that mold that meets the client's specifications. Often, the medals are the enameled for dramatic colors. Custom medals are economical and very personal to the recipient. 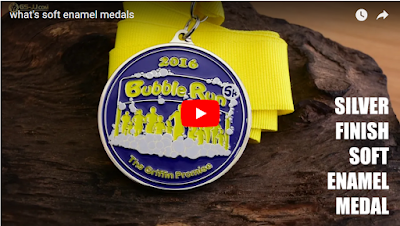 Rather than an “off the rack design”, custom medals are an affordable way to make your event even more dramatic than it already was. From baseball pins to politics, church functions to rock bands, enameled pins are a staple. And they are much less expensive than more people would think. Baseball trading pins - In the long tradition of baseball, pins have been a staple. From simple fan pins available at any gift shop to custom-made pins for special games or events, baseball pins are a collectible way to share one’s fandom. These days, pins are easy and inexpensive enough to get that even Little League and T-Ball Leagues can afford them. Custom designs commemorating an event are perfect for as gifts to the players, the fans, the parents, and more. The best part about pins is that they can be worn everyday, on jackets, purse and backpack straps, and even hanging from mirrors in cars. Conference pins - One area where pins are underutilized is business conferences. A pin that identifies someone as a member of the conference is a great way to give everyone a sense of belonging. The pins can be used to gain entrance, be worn as a tie pin, or simply be a collectible pin for attendees’ offices. Family reunion pins - Family reunions are a tradition. Pins can be a too. Every family member who attends can get a pin that says they were there for the craziness and fun. Pins are ideal. They are inexpensive, easy to wear, and suitable for almost any age. Customer appreciation pins - Once upon a time, we used to get toasters and other thank you gifts from banks and store. Something simpler would be to give great customers a pin that says that they are awesome. It can even be a pass for a discount or to access certain special deals early. Since every customer gets just one pin, they are unlikely to share them with anyone else. Nothing says loyalty to a customer more than a nice piece of jewelry. Metal and enamel pins are ideal for any situation where you want to give someone something that they can cherish and wear for years. They are durable, inexpensive, and perfect for nearly any occasion, particularly group membership and promotions. Another traditional, but still effective way to commemorate an event or a group, ispatches. Sew-on and iron-on patches are a great way to show membership in a group, commemorate a success, or even simply market a business. Membership - Very often, people will wear the logos of groups of which they’re a member. People often think of motorcycle gangs, but groups as diverse as the Boy Scouts to fraternities wear patches that show their membership. Patches are an ideal gift for a business like golf clubs, comic book stores, and much more. Successes - When someone wins a race or even a sales competition, a patch can be a great gift. They can attach to anything, from a shirt to a wall hanging. So often, a trophy is the gift, but trophies are hard to carry around and take up much more space. A patch sewn onto a jacket or a pair of jeans is a great way for someone to tell the world about how they succeeded without even needing to say anything. Sew-on patches have been a classic way to tell the world of our memberships and successes for a long time. With a bit of imagination and a great team to help with the design, any business, organization, group, or even family can use patches to declare their pride and belonging. Most business conferences are boring affairs with a lot of meetings and dinners and not a lot to celebrate. At GS-JJ Custom Medals, we can supply gifts that spark up a conference and give everything to celebrate. Medals - Being given a medal for a great speech or a breaking a sales record is a great way to give someone recognition. Pins - A lapel pin that declares one’s membership in a group or as a staffer of a company. A pin in small and can fit with nearly any outfit. Patches - Every event when you’re a member of a group, like the Girl Scouts or an outdoors group, comes with a patch that tells the world that you were there. A patch for a conference or a trade show can be a great way to share one’s attendance and excitement. 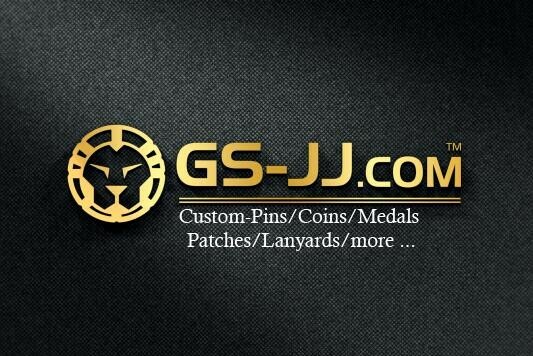 No matter what the event, from a small strategy meeting to a worldwide conference, GS-JJ Custom Medals offers more than just medals to promote the event, the company, or the organization. Everyone likes to donate to a worthy cause. Getting something interesting and useful from a donation is a great way to thank the donor. 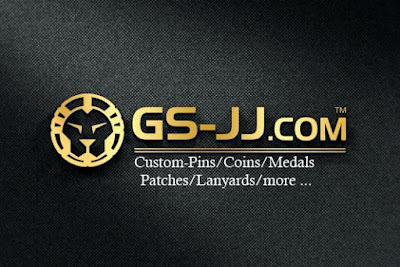 As GS-JJ Medals, we create custom-made medals and more that are all suitable for use as thank you gifts for donors. ● Economical - Because we partner with one of China’s largest manufacturers of medals, pins, and more, we’re able to provide our customers with high quality, reasonably priced gifts to share. ● Durable - Everything we make is designed to last. In many cases, these items can last for years or even generations. 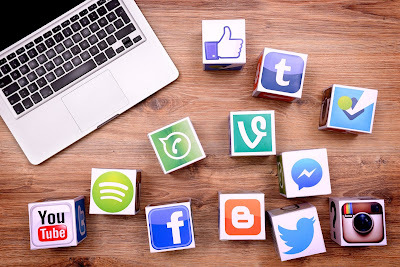 ● Custom-made - Using our design tools, as well as the personalized input of our designers, we’re able to create designs that are our outstanding and memorable. Rather than being like most other charities and giving away blankets or t-shirts, give people something that they can wear everywhere and that will they can cherish for years. With offices in Los Angeles and British Columbia, combined with our partnership with China’s largest medals and mementos manufacturer, we’re able to provide the highest level of service and quality at great prices. Don’t let another great inclusive or marketing event get by you without some of our great medals, pins, patches, and much more.